As parents, always be looking for opportunities to teach. The kids may roll their eyes, but they’ll remember the silly stories you tell and the lessons learned. Life lessons coming from mom and dad are gold to kids and teens alike. Their body language may say otherwise, but they’re listening. Certainly look for opportunities to share about how God is at work, but also simple lessons of everyday life are important too. Changing our own oil was big in the Staples family. In the 70’s and 80’s, there weren’t so many car oil change places like there are now and it cost more to have someone else do the work. 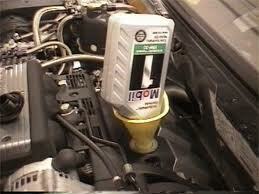 So I always changed my oil. It was the guy thing to do. One day, when my kids were young, I was getting ready to change the oil in our station wagon and I decided it would be fun to have the family watch me, Mr. Provider, do my duty. And they would learn how to change their own oil one day. It was a perfect teachable moment (so I thought). With pride intact, I set up lawn chairs in the garage around the front of the car and had the family all sit and observe. With testosterone flowing and masculinity soaring, I proceeded to change the oil. I’d already drained the old oil out and removed the oil filter and after the family sat down, I put the new oil filter on and began to add oil. On the second quart, one of the kids asked, “Daddy, why is oil pouring out under the car?” I quickly looked and noticed oil coming out of the hole where the screw was supposed to be. I’d forgotten to put the oil plug back on! Hormones ceased flowing immediately and I hurried to try to plug the leak. Oil went everywhere. I know how the folks at British Petroleum feel! By the time I got the oil cleaned up, the family was back in the house. I told them at dinner that, “Daddy messed up.” Embarrassed, I explained to them what I’d done wrong. My kids were so traumatized that, to this day, none of my kids change their own oil. And I don’t either. That particular life lesson opportunity backfired, but most go as planned. I am known in my family for stopping at the historical markers when we travel. We sometimes drive through the Civil War battlefields spread throughout the south. I used to wonder why my brothers and I are so fascinated with history. Then it occurred to me- our father loved history too. He would often stop at the battlefields and shuffle us all out of the station wagon. We pass on to our kids what was passed on to us- unfortunately, the good and the bad. Pass on stories and antidotes that will be helpful for your teen as they go through life. Pass on stories your parents passed on to you. Again, your teen may act uninterested, but they will soak up the knowledge. Look for opportunities to teach and train. Even if there’s an oil leak, you’ll be investing in your most precious commodity- your kids.